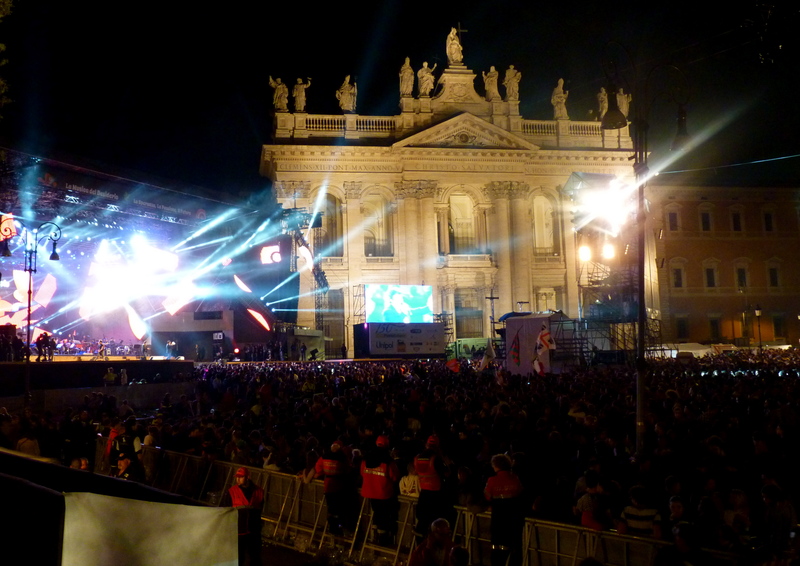 Visitors to Rome often ask me what my top five things to do in the Eternal City are. Honestly, there are so many things to do and see that I can never choose. However, what I can certainly give them are things they definitely, absolutely must NOT do. PS. And don’t ask for directions. After helping 20 morons (they must be, because the maps are like children’s books) it becomes a game and I know a few people who purposely send tourists in the wrong direction. Or in a nice roman loop. 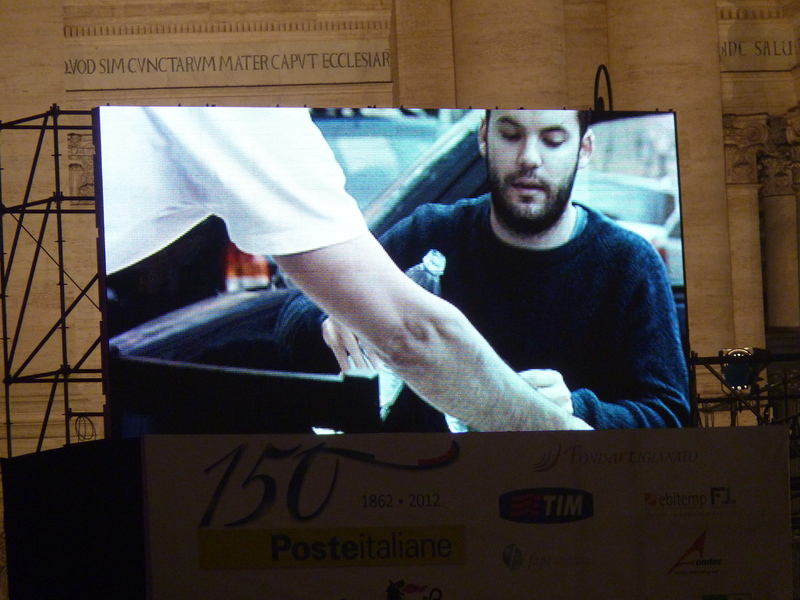 Or pretend not to speak English and use dramatic arm gestures and a dodgy italian accent. Firstly, don’t take those terrible hop-on/hop-off buses. Rome’s ancient buildings are crumbling before our very eyes- especially in such a laid back country that thinks the word PRESERVE is either something sexual or something you do to salami (maybe both in some cases!). Plus, you add to the already congested roads. 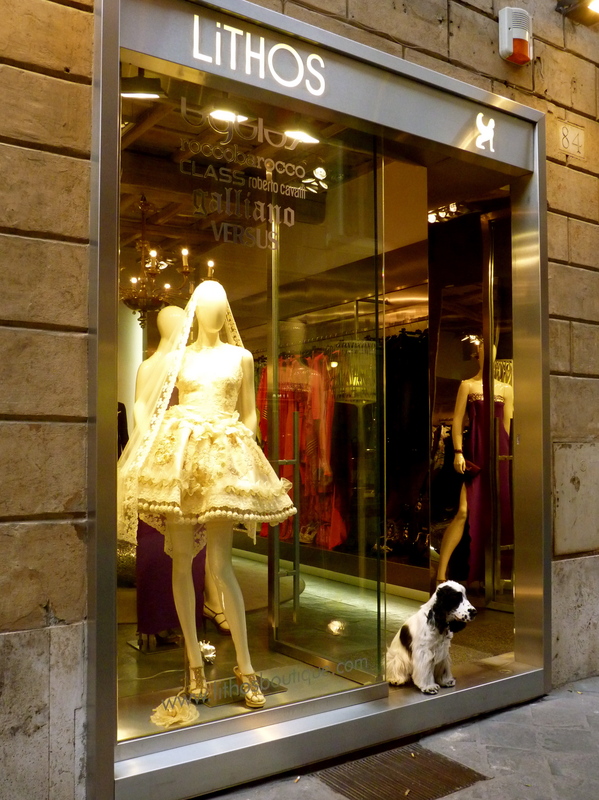 Rome is the best city in the world for walking; there’s always something to see within a small proximity. Take advantage. Secondly, we have an issue with pick pockets. So don’t wear your little tour shirts or caps or ‘knapsacks’ with pride (and say words like ‘awesome’ and ‘oh my god’ loudly if you’re american), because that sh*t is a beacon of hope for these people. Honestly. Thirdly, the public transport is a mess in this city. It’s not an amusement toy for you to play on and try out for a laugh. Some of us have places to go and people to see…and you’re not funny #justsayin’ PS. If we have our headphones in (like most of the drivers do) *whispers* that’s a sign for you not to disturb us. You know why?? Because they become more annoying. And suddenly, it’s not just roses anymore. Oh no! It’s cuddly, mechanical toys and squishy pigs and those helicopter, flyy things with bright, flashy lights that hit you on the head randomly in Piazza Navona. I won’t even mention the fact that most of them are illegal immigrants, oh, and the ‘possible’ ties to the Mafia. Oh, did you think the Mafia only dealt in hard cash, drugs and prostitution… oh no my dear reader, they do squishy pigs too! I say it all the time…and I’ll say it again. If the restaurant has to show you what it’s going to serve you, it’s best to walk away while you still can (before the owner’s got you by the arm and orders that bottle of ‘house wine’). The stuff they serve you won’t classify as food, but the house wine will classify as nuclear weapon fuel (if you need that). But….don’t ask me where you should go. 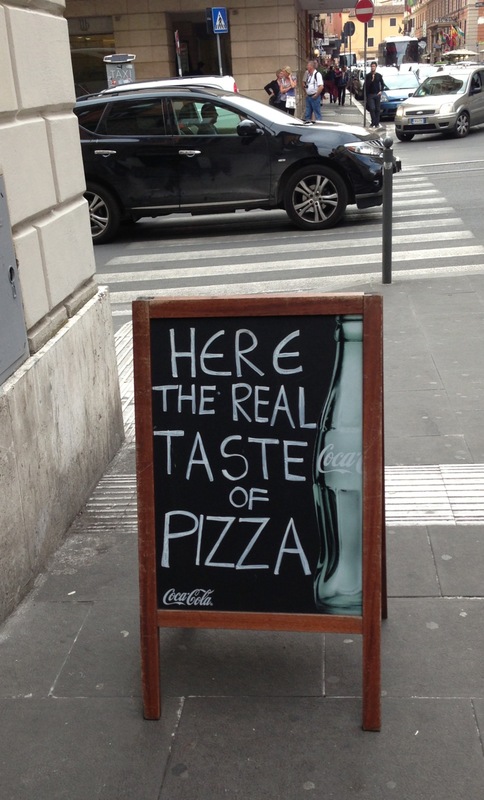 I’m not going to tell you about my local trattoria because you’ll tell someone else and, before I know it, it’ll be on tripadvisor and then they’ll put the prices up due to the influx of American fatcats….and then I’ll have to sit next to them and they’ll want to tell me all about their ‘eye-talian experience, man, cos I love this city’… why do Americans always do that? Every meal is like a meet-and-greet! Honestly, I had to sit next to this awful tourist trash couple the other night (yes, I’ve coined a name for them. Don’t get me wrong, I have wonderful American friends here but they tend to be from cool places like New York or L.A and don’t talk about their ‘firearms’). Now I didn’t know this man from Adam. He sputtered at me (from across the restaurant), ‘Haw old r yeew?’…’eeeerrmm, over the age of 25′ was my response (cheeky f***er) …’ Well, then you’re too old for Berlusconi, bwahahahahaha!’…. *blank stare* ‘Alllllll-righty then’. Honestly, the amount of nonsensical historical ‘facts’ I have heard coming out tourists’ mouths, and this is only from the English speakers, would be enough to power Berlusconi’s (lower) wig dryer. An (expat?) 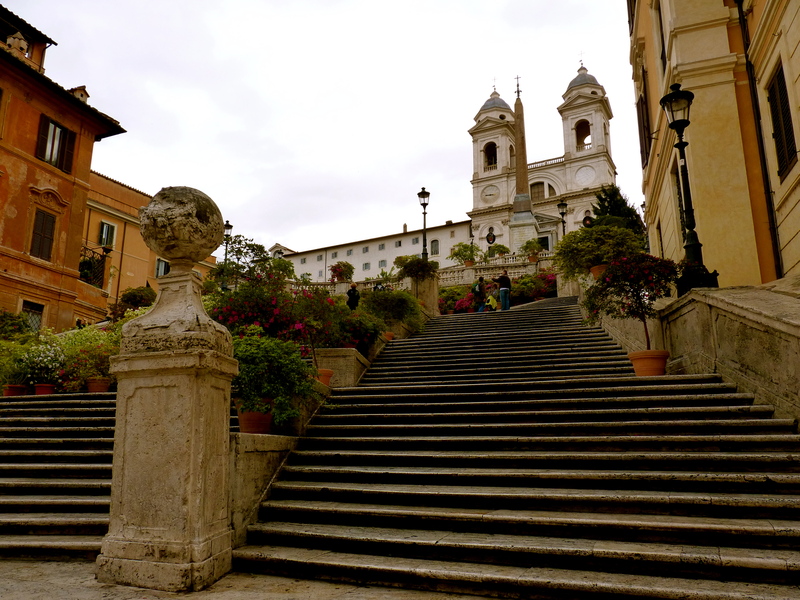 american to a tour group: ‘The Piazza di Spagna is called the Piazza di Spagna because so many Spanish people live near the Spanish steps’ #saywhat? Overheard in a bar: ‘Oh, are you going to the Lazio football game tomorrow? Yes, which stadium are they playing in?..At the Colosseum.’ *double take* #whatthecazzo? I could go on…. but I wouldn’t want to annoy you, now would I? 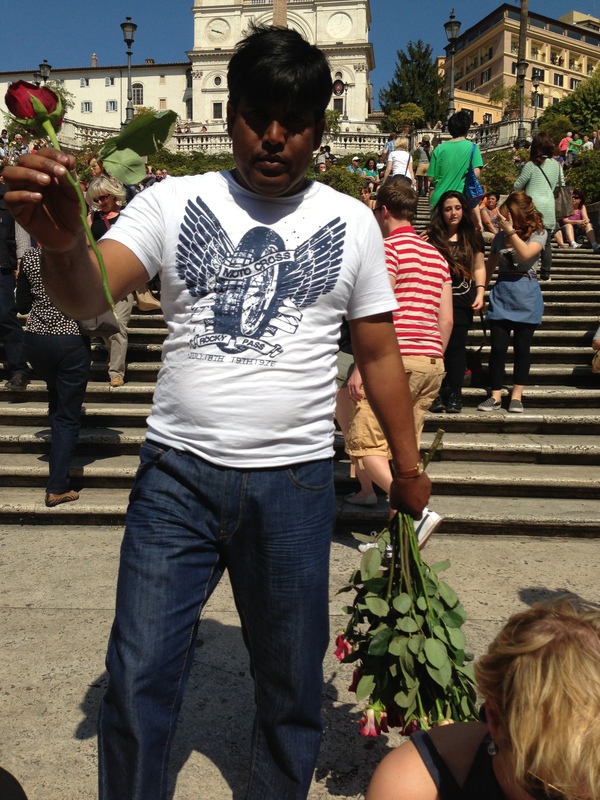 …and the flowers are out on the Spanish Steps in Rome. 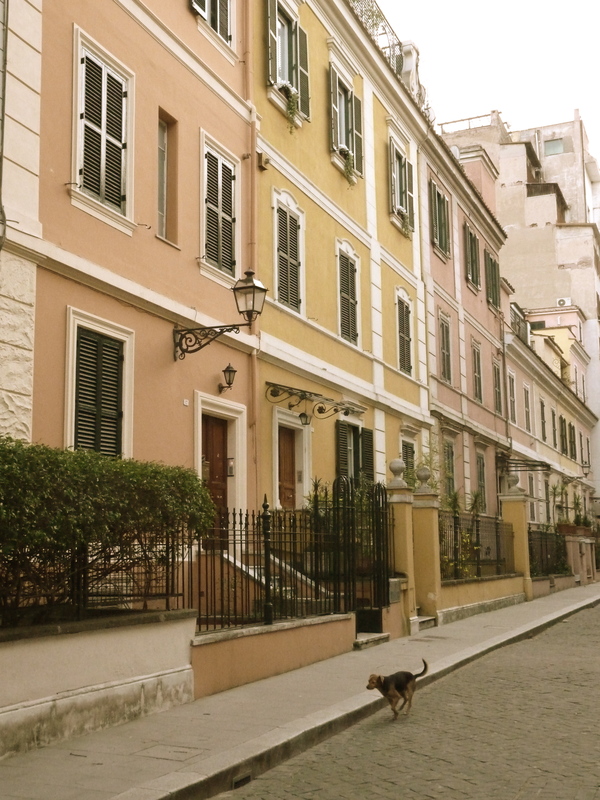 While househunting in Rome, we came across this street in the Flaminio area called Little London. Apparently due to the coloured houses giving it a ‘Notting Hill’ feel. One of the local residents in our area keeps watch over his shop. He comes out to say hello most days. 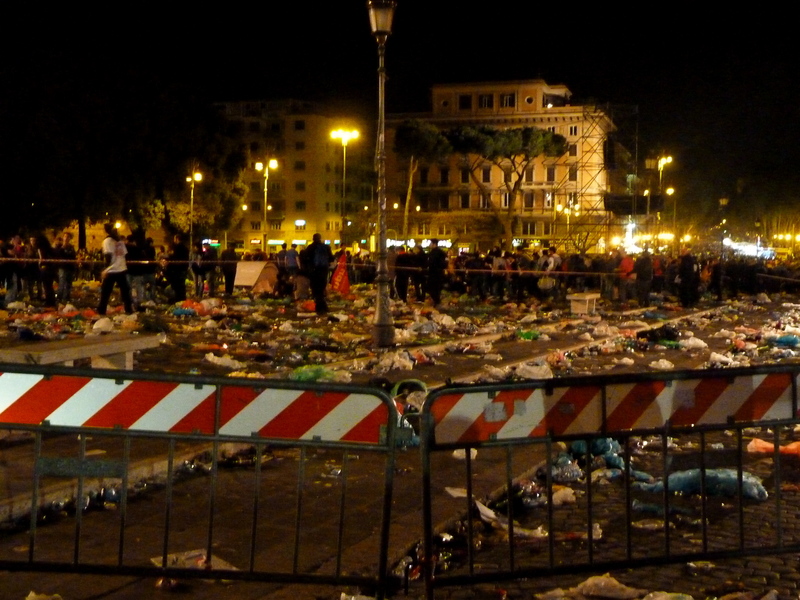 I couldn’t help but take a picture of the aftermath. 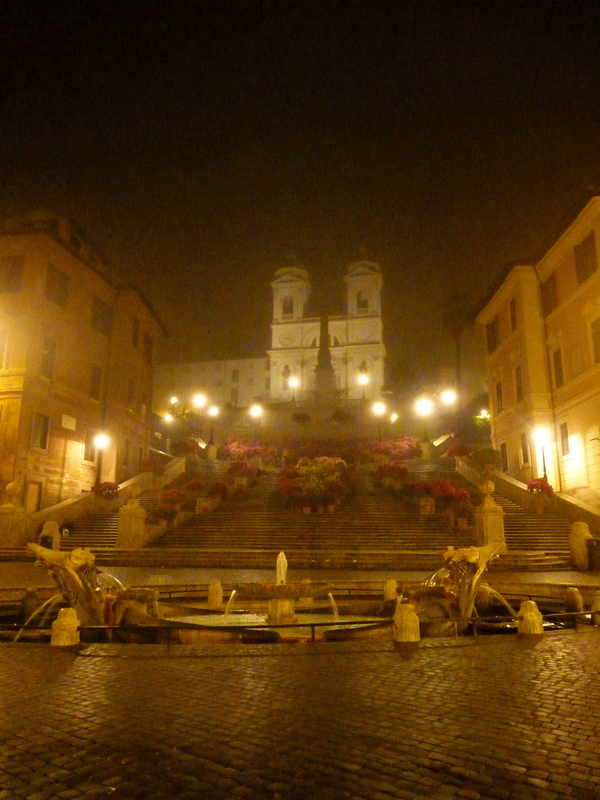 After celebrating until the early hours, we returned to our area, to a beautifully calm and slightly foggy Piazza di Spagna (with no tourists- a first).